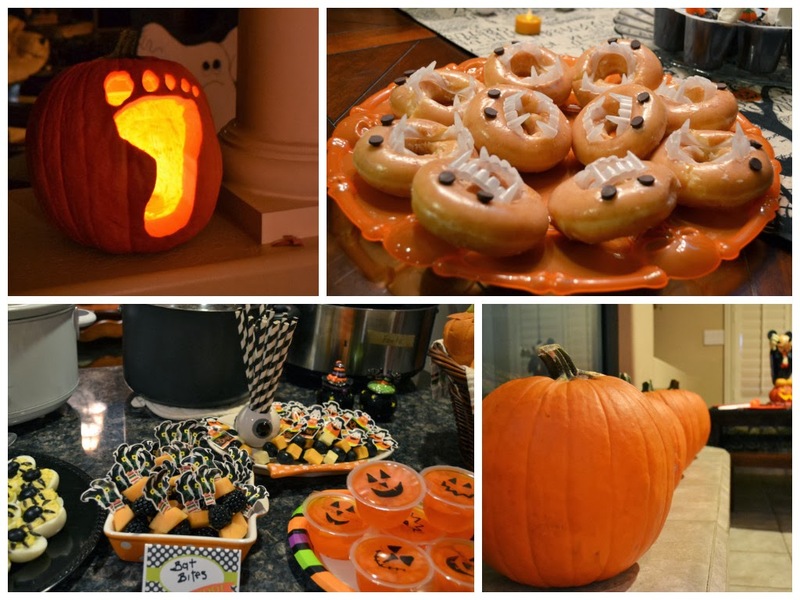 Mom, the Intern: Another Halloween post (but MY kids are the cutest). Another Halloween post (but MY kids are the cutest). Halloween always starts a little early for us because of all the church and family festivities we take part in each year. So even though it's only Halloween TODAY, we've already gotten plenty of use out of our costumes. Meaning, they've already been coated in a thin layer of dirt and stickiness twice now. Here's Audrey and Carson before the church Trunk-or-Treat last Friday. 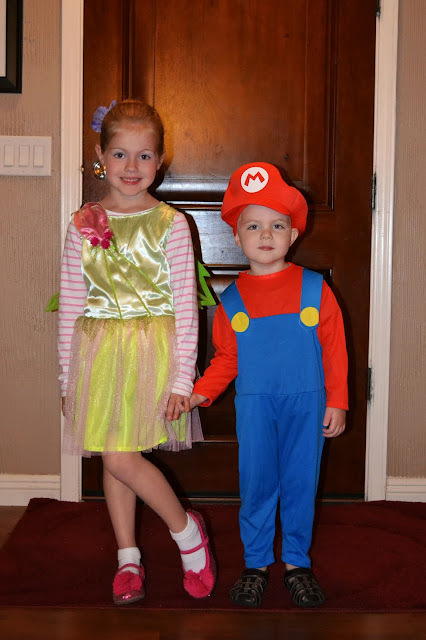 Tinkerbell and mustache-less Mario (he refused). Dill thinks he's going to convince Carson to wear the hideous and way-too-huge mustache that came with the costume tonight. All I have to say to that is good-freaking-luck. My in-laws host a yearly Halloween bash for the whole family. I think I've even blogged about it before. 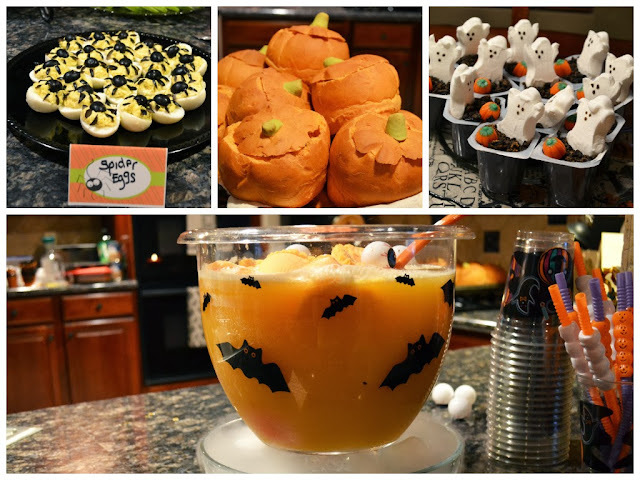 Anyway, this year was one to top all the rest with so many fun, spooky-themed foods. We also carved pumpkins, which is a newer tradition for the family party. As you can see below, we went all out and created a "Foote" pumpkin. I drew the footprint and Dill carved to his heart's content. The foot is my go-to design when my creativity is waning. It's always a crowd-pleaser, considering our last name. We had a great time as usual, but the kids were beyond pooped and still haven't fully recovered from the sugar rush Grandma provided. Oh well -- at this point, they're pretty much going to be sugared-out until after Christmas! Might as well embrace it. Link to your Halloween posts in the comments. Please. I need some festive cheer in my life right now and I'm demanding YOU to provide it. So go post some pictures and then come here and leave a comment with a link. Thank you and have a nice day.